Please click for additional information and registration form. The Eagles are excited to announce the dates of this summer’s Wilkes Central Men’s Basketball Camp: June 10th – June 12th. Camp is for rising 3rd – 8th graders. This is an excellent opportunity for players to join the Eagles and gain exposure to a variety of instructional and competitive basketball drills/sessions. Camp will be held at Wilkes Central High School. Below are the listed times and schedule for the week. Objective: The purpose of our camp is for players to develop and improve their basketball skills in a fun and hardworking environment. Players will be exposed to a variety of ball handling, shooting, and defensive drills. Campers will also compete in team and individual activities. 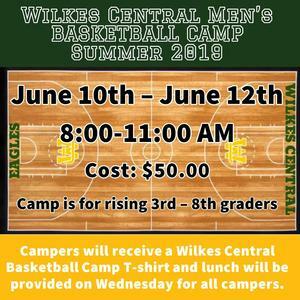 Campers will receive a Wilkes Central Basketball Camp T-shirt and lunch will be provided on Wednesday for all campers. 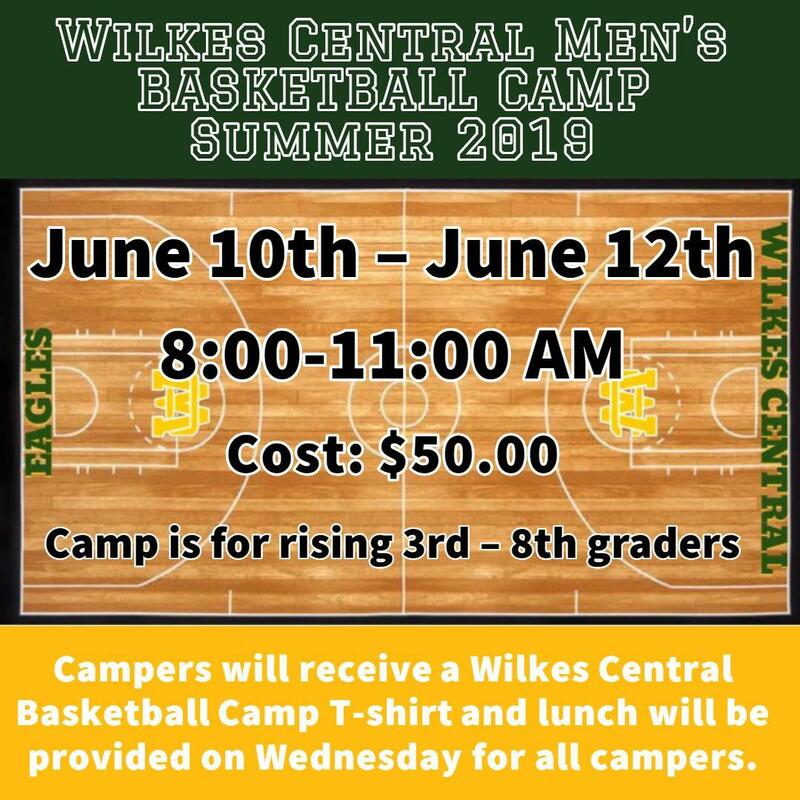 The WC Camp is under the direction of the Wilkes Central Men’s Basketball coaching staff. Camp cost is $50.00. Applications are available here on our website, at WCHS and all WCHS feeder schools. Please click below for the application form and liability waiver.